Everybody loves a good mule, and you simply can’t serve it without the iconic copper mug that makes the drink! Not to mention that your set of shiny mule mugs on the wall makes the bar sparkle! Basically, you can’t beat the look or the feel of genuine copper for a cool and refreshing classic Moscow Mule. It's a must have! 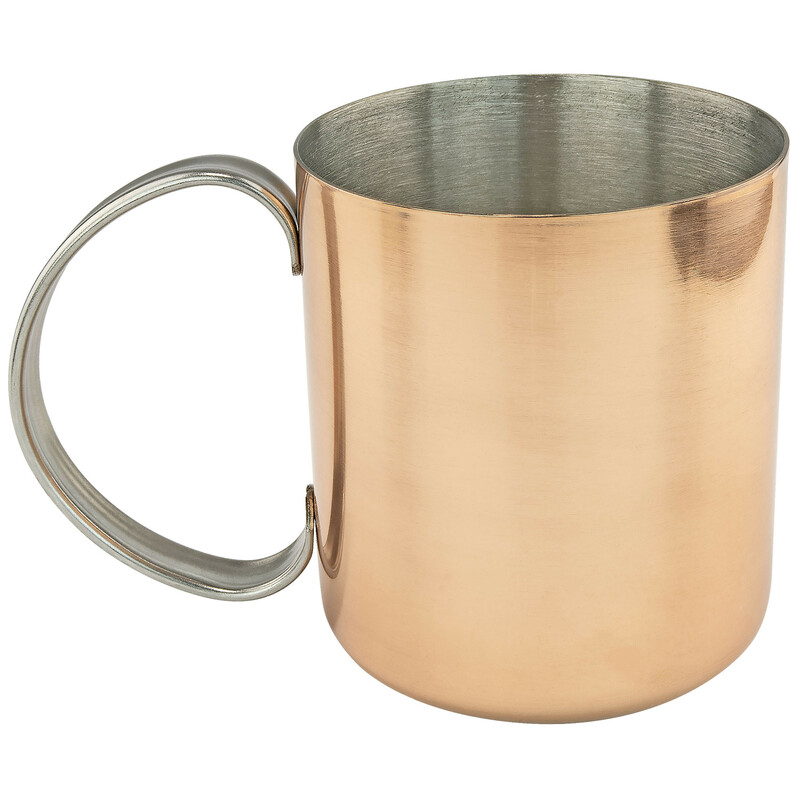 Introducing Stainless Steel Interior Copper Coated Moscow Mule Mugs from Southern Homewares! The Moscow Mule Cup that gives you the cool metal you need for the drink, with a stainless lining that’s actually easy to maintain! With a twelve ounce capacity, and totally food and dishwasher safe, these mugs make the classic cocktail even easier for home bartenders to handle! When you're done, you can just slip them in the dishwasher and forget about hand-washing and drying to keep the shine. Whew. Plus they make the perfect present for your favorite bar guy or mixologist (yeah...that’s what they’re calling it nowadays). Coated copper plating makes sure these mugs maintain their shimmer, so your bar will have a touch of color for years to come, and you’ll be ready when someone orders up that wild yet relaxing cool Russian cocktail! Order yours today! Available on their own, or in sets, these mugs give you all the classic copper charm and function you need, while making your bar set up a little easier to manage too! As they say in Russia – Na Zdarovye! (To Good Health!). Includes one mug. Mug holds 12 US fluid ounces. Dishwasher safe. Not Microwave Safe. Overall dimensions are 5.19" x 3.08" x 3.45".